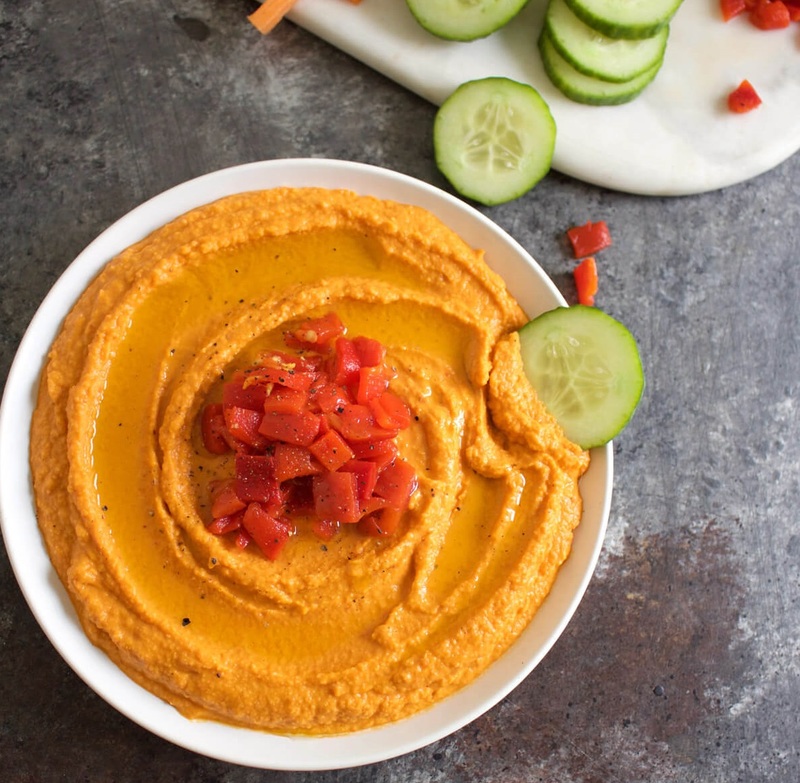 Red pepper hummus is a delicious and healthy treat that is surprisingly easy to make! Unfortunately, due to its popularity, many food "manufacturers" have been producing highly processed and not-so-healthy versions of this superfood. 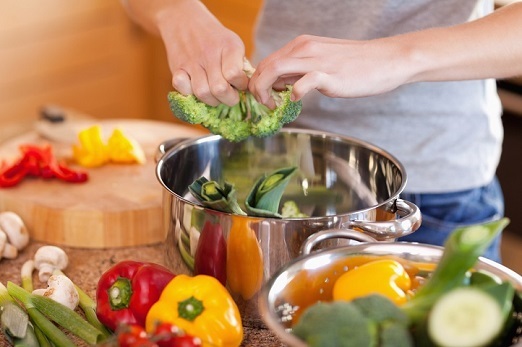 Instead of the traditional ingredients, they use fillers such as genetically modified soy and/or canola oil, which can cause internal inflammation among other health issues. Instead, opt to make your hummus at home in just a few minutes with a few simple and wholesome ingredients. Hummus is one of the healthiest foods to obtain vegan protein. It can can also be a delicious source of other nutrients, such as healthy fats and fiber. This red pepper hummus may take a little more work with preparing the pepper - but the flavor is well worth the effort. Wrap the cooked pepper in a plastic baggy or plastic wrap for about 5 minutes. When cool enough to touch, unwrap the pepper and peel off the skin (it should be easy by now). Cut into pieces. Optional - If you prefer to not cook the pepper yourself, opt for organic, roasted red peppers in a jar from your local grocer or natural foods market. Add the red pepper and all other ingredients into a food processor or use the solid plate of a Champion Juicer. Add sea salt and cayenne pepper to taste. For best flavor, cover and chill in the fridge. Then, when you are ready to eat or serve it, let it sit a room temperature for about 10 minutes. This is one of my favorite protein foods to put on a bed of green salad for lunch. Of course it's an excellent spread for a treat, too.